20% Discount for November vacancies, 11/1-11/21/17!!! 15% Discount for December Vacancies 12/4-12/26/17!! 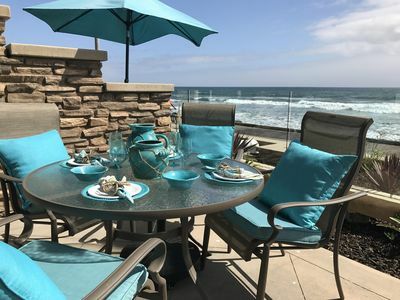 Our beautiful 3 bedroom condo/2 bath ocean and harbor view (from all rooms) condominium is available for vacation, holiday, and corporate rentals. 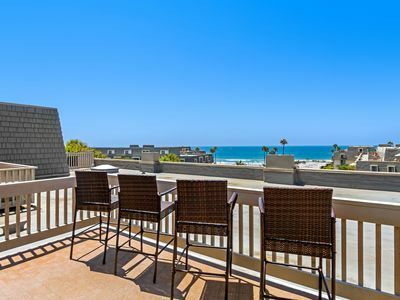 The entire complex sits right on the beach at North Coast Village between Oceanside Pier and Oceanside Harbor. 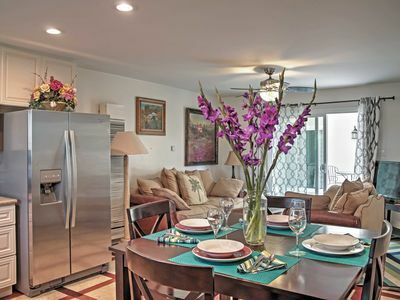 This beach condo has been remodeled and furnished with our guests in mind, and most importantly, just steps from the beach. 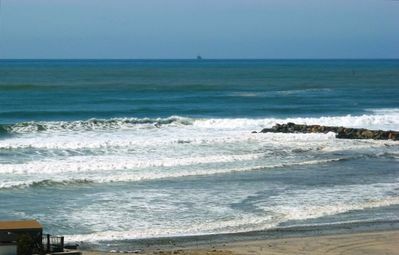 You'll find great surfing, swimming, volleyball at Oceanside Beach, one of the nicest beaches in North San Diego County. 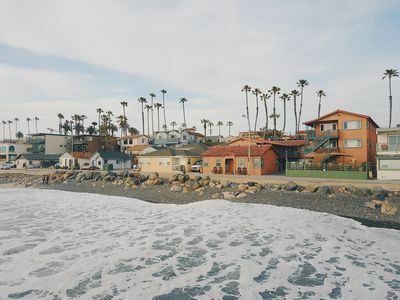 Within walking distance of North Coast Village are Oceanside Harbor and Oceanside Pier, many shops and restaurants, and there is a 50's style diner at the end of the pier. Enjoy the fishing right off of the pier, and boating activities including deep sea fishing and seasonal whale watching cruises in the winter. This condo sleeps 8 people comfortably, two people in the master bedroom on a brand new Opulence Plush king size bed (8/31/15), 2 twins in harbor view guest room, another queen in the ocean view guest room and the queen sofa sleeper with memory foam mattress makes for a most comfortable night's sleep, plus 2 Aero blow up beds upon request. 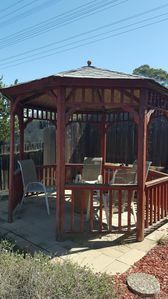 Each bedroom features a flat screen cable TV and updated furnishings. 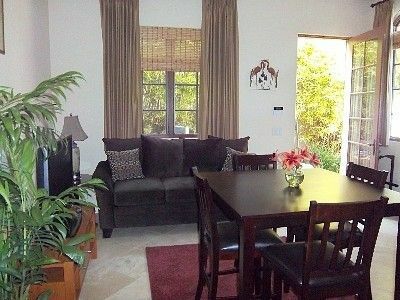 In the living room there is a 41 inch flat screen TV/DVD player and gas fireplace. The living room balcony has a gas grill. 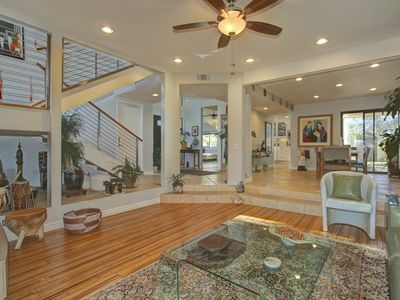 There is a dining area where you can eat or invite a few friends over to play cards. In the parking garage closet is everything you need to go to the beach: Beach chairs, cooler, boogie boards, umbrella and beach towels. The kitchen is equipped with convenience in mind. 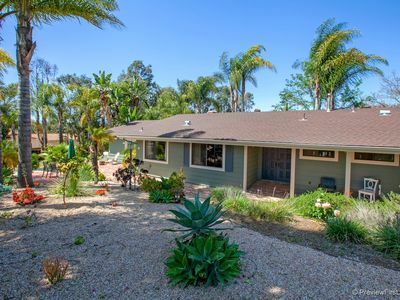 A full size refrigerator, microwave, electric stove/oven, dishwasher, coffee maker and blender, with all of the conveniences of home including dishes, pots, pans and more. 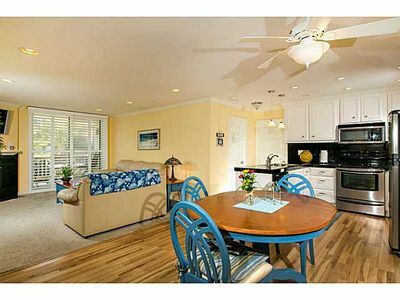 This is one of the few condos at North Coast Village with a washer/dryer in the condo and two reserved parking spaces! Pack your things, stay for a long weekend, a week, a month, or linger a little longer. 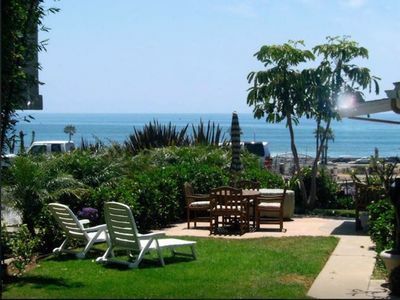 Please contact Oceanside Beach Vacations for more information regarding this rental. 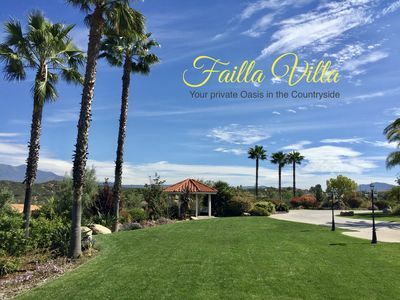 Gated deluxe property with activities galore! Best value for your money! 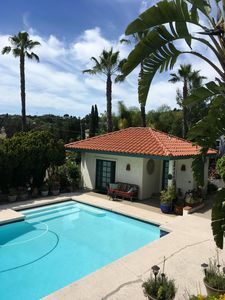 Quiet and Tranquil Vacation Getaway w/ Yoga Room. Close to Theme Parks/LegoLand. 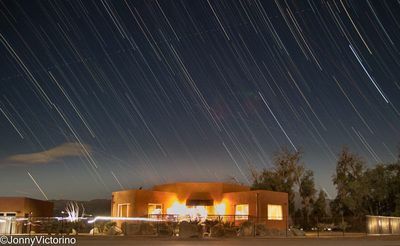 Discounted December Rates! 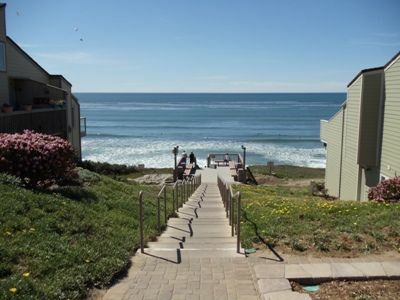 Ocean view, Pet Friendly, Private Location! 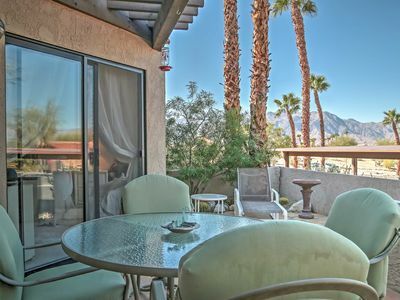 1BR+Loft Borrego Springs Casita w/ Mountain Views! 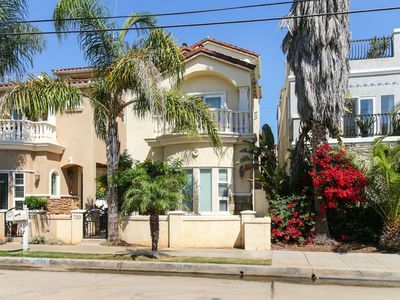 Updated home w/ balconies and rooftop deck - 2 blocks to the beach!